Dexter Daily: C.S. Lee Surprises Fans at the Coolhaus Ice Cream Truck In L.A.
C.S. 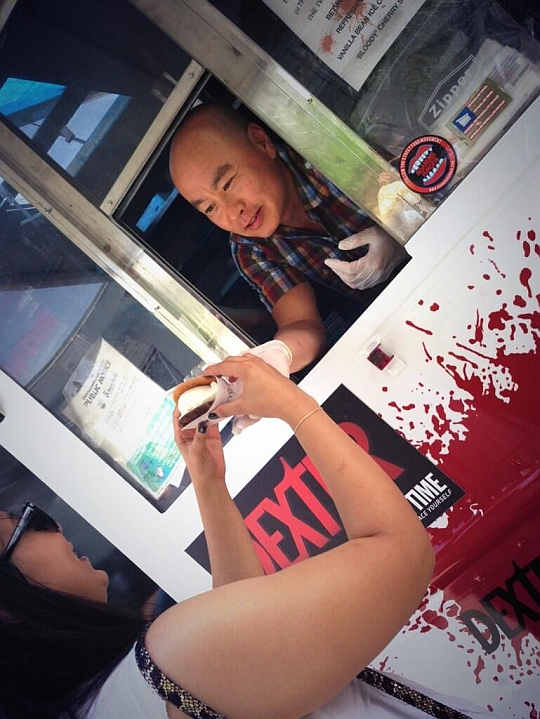 Lee Surprises Fans at the Coolhaus Ice Cream Truck In L.A.
Dexter co-star C.S. Lee is giving away ice creams for free at the Coolhaus truck in Venice Beach, L.A. That's an awesome surprise for the fans who are patiently waiting to the line for Coolhaus killer combo ice cream sandwiches!